Press studs that undergo industrial washing need to meet stricter requirements. This includes the high mechanical load exerted by the dewatering presses. The opening values may not change either as a result of wear or degreasing. 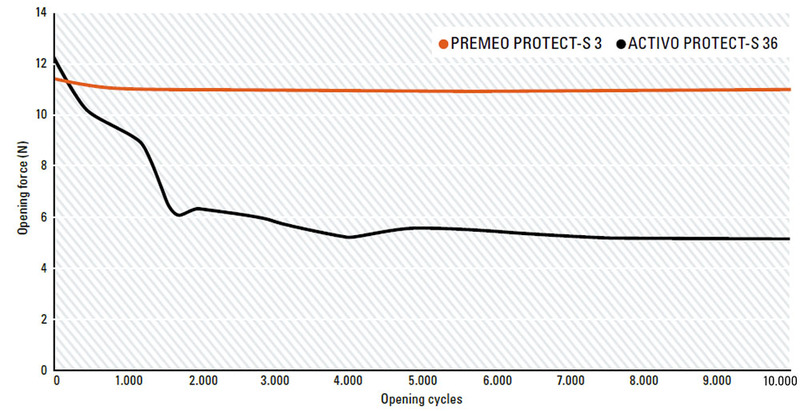 PREMEO PROTECT-S 4 | 6 are centrally riveted for stronger and heavy fabrics and materials. The excellent form stability is guaranteed by the FlexFix® technology in two sizes. Thanks to the selection of materials, the risk of an extreme increase of the opening values (cold welding) is ruled out due to the complete regreasing process in industrial washing. PREMEO PROTECT-S 4 and PREMEO PROTECT-S 6 with FlexFix® technology keep you on the safe side. 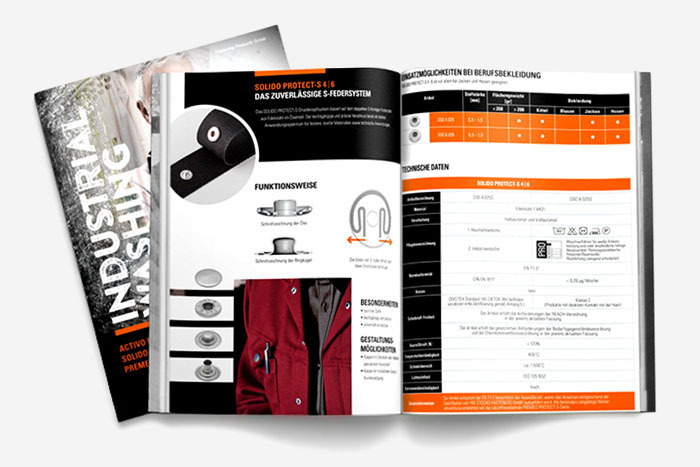 Tests at service supplier companies and the Institute ITV Denkendorf and Hohenstein* proved the high durability of the PREMEO PROTECT-S series. Thanks to its high-quality finish, PREMEO PROTECT-S 3 | 4 and 6 reduce the repair rates and contribute to reducing the costs. The constant high quality ensures a high level of comfort. * The above-mentioned information corresponds to our current knowledge. Changes can be made at any time without prior notice. The technical information does not relieve you of your duty to carry out your own tests of our products with respect to their suitability for the intended application case. Our products are processed and used outside our control and therefore lie outside our scope of responsibilities. Our products are sold in line with our general terms and conditions. The design of your garment is decisive for the correct selection of the suitable PREMEO system. The permissible fabric thickness depends on the number of layers of fabric on top of each other and their fabric properties at the attachment position. The fabric thickness is measured using a special micrometer. We are happy to support you in this. Please contact us and send us a sample of the corresponding textile. The attachment positions of the PREMEO system on the garment should be chosen so that unevenly thick layers of fabric are avoided. The design of the cuff widths (including seams) should be such that the pushbutton design to be selected has sufficient space for a secure connection and that attachment to seams is avoided. In the case of multiple layers of fabric, it is recommended to attach seams next to the PREMEO snap fastener. This prevents the superimposed layers of fabric from shifting when subjected to lateral stress. Fabric overlaps (uneven fabric layers) within a cuff or a push-button position should also be avoided. The use of reinforcing tape is recommended to compensate for too thin fabric thicknesses/layers within the cuff. In order to ensure that the serrated ring printer is pulled out of a garment with low fabric strength, reinforcing tape should always be provided on the cuffs. This leads to incorrect riveting (zigzag bone deflection cores). If the above criteria for selecting the correct attachment position are not taken into account.